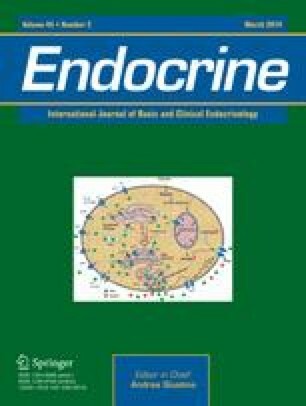 The effect of intracerebroventricular (icv) injection of allopregnanolone (5α-pregnan-3α-ol-20-one) on the dopaminergic and reproductive function in ovariectomized rats primed with estrogen and progesterone was investigated. Thirty minutes after icv allopregnanolone injection, the sexual receptivity, luteinizing hormone (LH) release, dopamine content, and release in the medial basal hypothalamus (MBH) and preoptic area (POA) were determined. After allopregnanolone injection, LH serum levels were reduced (p<0.001) and lordosis behavior was inhibited (p<0.005). Intracerebroventricular injection of bicuculline (a γ-aminobutyric acidA [GABAA] antagonist) alone was ineffective. The injection of allopregnanolone plus bicuculline blocked the effects of allopregnanolone on sexual receptivity and on LH serum levels. At the same time, endogenous dopamine concentration in both the MBH and POA was augmented (p<0.005 and p<0.006, respectively) and the turnover rate decreased in both structures. Moreover, in vitro 3H-dopamine release from MBH and POA was lower in rats injected with allopregnanolone in comparison with vehicle-treated rats. These results suggest that allopregnanolone influences the dopaminergic mechanisms in female rats, which may, in turn, be responsible for the reduced reproductive activity. Allopreganolone may exert its effects on sexual behavior through GABAA receptor modulation and a decrease in dopaminergic activity in the MBH and POA. These actions could explain the inhibition of LH release.